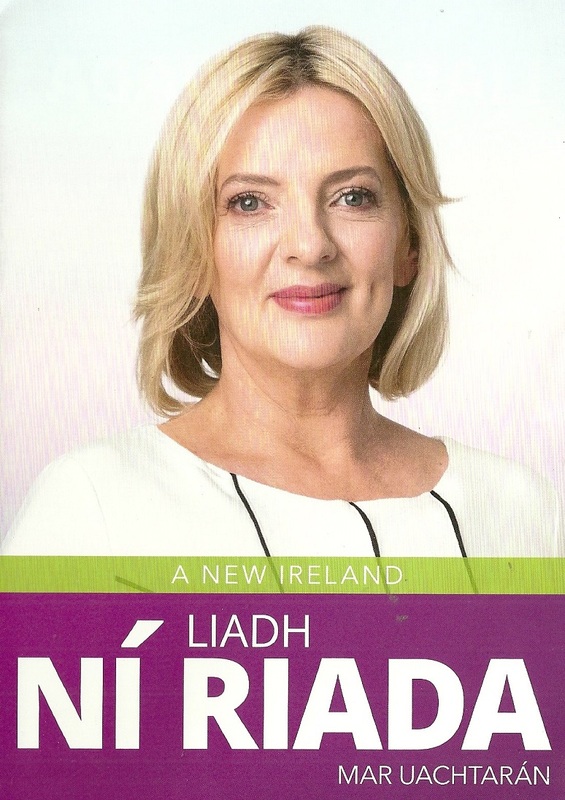 A flyer from Liadh Ní Riada who is running for Sinn Fein in Ireland South in the 2014 European Elections. 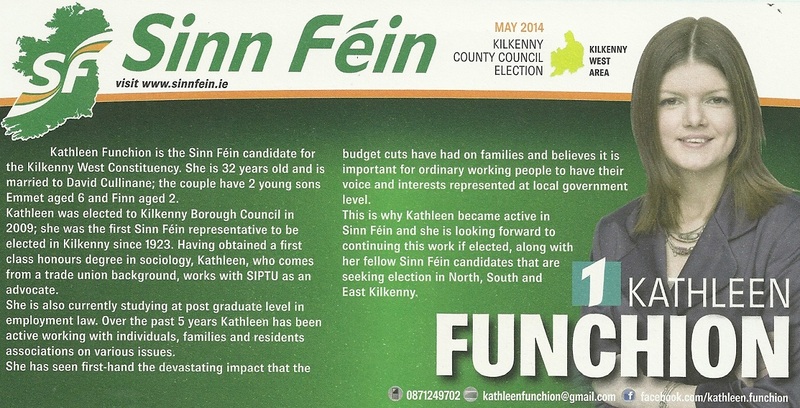 A leaflet from Councillor Kathleen Funchion who is running for Sinn Fein in the Kilkenny West LEA for a seat on Kilkenny County Council. A leaflet from Sinn Fein candidate in Blarney Macroom Des O’Grady who is running for a seat on Cork County Council. There is a profile of Des O’Grady and also the European Elections candidate Liadh Ní Riada.